This is the 2005 website. Visit the 2011 site or the 2007 site. The University of Maryland has been selected as one of 20 competitors in the 2011 Solar Decathlon. We look forward to building on our successes in the 2002, 2005 and 2007 competitions, and welcome your support and participation. 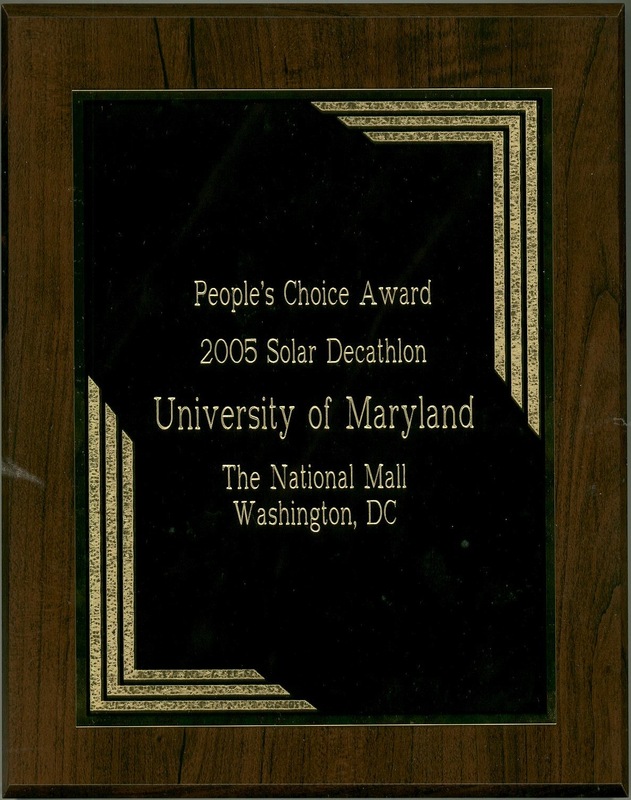 The University of Maryland proved the practicality of solar living in the U.S. Department of Energy's 2005 Solar Decathlon. The Maryland Team built a fully-functional, solar powered home to compete with other Universities from around the world. The Maryland house took 8th place overall, and won the people's choice award! After the competition, the house was moved to Red Wiggler Community Farm in Clarksburg, Maryland, where it will serve as a staff residence and demonstration site. The team is pleased that the effort and care embodied in this house will give back to the community for years to come. At Red Wiggler Farm, the house will continue to demonstrate solar living. Follow this web site for updated information. Learn about the technology in the house. Read our journal and see photos of the house on the National Mall. Watch a video of the house being built on live TV. The Solar House project continues beyond the competition. We welcome you to be part of our team! Financial contributions to Maryland Solar Decathlon are tax-deductible. Here is how you can donate.